By initiating a discussion on LCD vs LED monitor, we are addressing one of the concerns of the customers regarding the purchase of the display unit. After the era of Cathode ray tube monitors are over for a formal desktop customer , LCD monitor is a common display unit . There are so many complicated terminologies which a normal customer will find hard to digest like active matrix , passive and so on . But after all those discussions , customer got settled to the normal term LCD itself and life become less complicated. But then comes a new technology related to LED display systems. 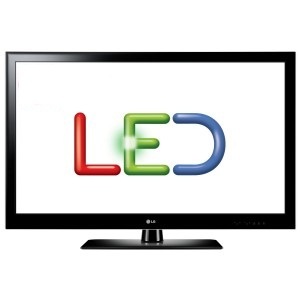 From a normal customers point of view LCD monitor uses the Liquid crystal display to display the image and in LED monitor an array of LEDs are used to display the image. But the actual fact behind the so called LED monitor slightly differ from the above mentioned story and thus create the confusion. From a Technical persons Point of view LCD monitors uses the Liquid crystal display to display the image and they are using CCFL ( cold cathode Fluorescent lamp ) for back lit . LED monitor also using the Liquid crystal display to display the image and they are using white LEDs instead of CCFL to lit up the display. So we have to call the so called LED monitors as LCD monitors with LED back lit to avoid the confusion of the customer. Still LED back lit monitors hold more value to the customers because of the low power consumption , high contrast ration and better reproduction of color . Almost every technical person out here is already aware about this fact , but we have to spread the news to a normal customer so that he must not end up believing that the LED monitor is entirely different from LCD. Also when the real LED’s will hit the normal market we will not have a terminology to differentiate theses two also . But low end , so called LED monitors available here is inferior to LCD displays, and LEDS will be spaced farther to reduce cost and creates slightly uneven backlighting. For a real upgrade over normal LCD that used to be available in past (all uses TN panels), one should consider an IPS panel based LCD monitor. They offer much natural colors and better grey to grey contrast ratio, but is slightly expensive… say 30~50% expensive but totally worth it. RGB LED screens aren’t that far away, and will blow away all LCD technologies prevailing in around an year or two. Whether i have any option to change backlit of normal LCD to LED backlit?? ?